Every year, there is something new that the swap brings to the fore for me. This year, it was the idea that art knows no boundaries. Boundaries are a human invention. They are imaginary lines used to mark territories on a map, or they are imaginary lines in within the self that limit our actions. Some boundaries are good, but it’s amazing how many boundaries we gather up in our lives that artificially limit us. Art helps us to find the boundaries, push on them and break free. Liberating your art is about pushing beyond the boundaries of fear and doubt. Every one of you who participated this year is a unique, talented individual. You and your art deserve to be seen and heard. With that in mind, here is the 2015 video! 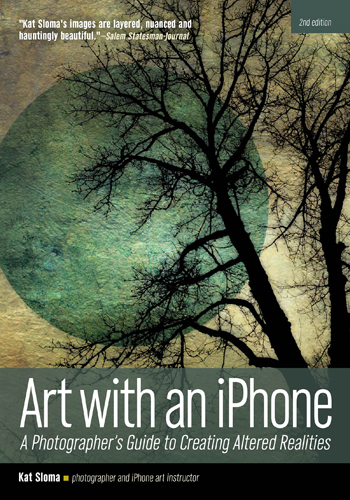 I asked participants to send me a digital image of the art featured on their postcards for use in the video. About half of the artists sent me an image, so enjoy this amazing celebration of liberated art, realizing this is only a fraction of the artists who participated in the swap. If you can, watch it in HD. It’s gorgeous! Thank you, thank you, thank you all for liberating such amazing art, making new connections and showing that art truly has no boundaries. One copy of the book Good Mail Day: A Primer for Making Eye-Popping Postal Art . I bought two copies of this gorgeous book in the gift shop at the Smithsonian National Postal Museum in Washington, DC last year, and I’m giving away the second copy to one of you! 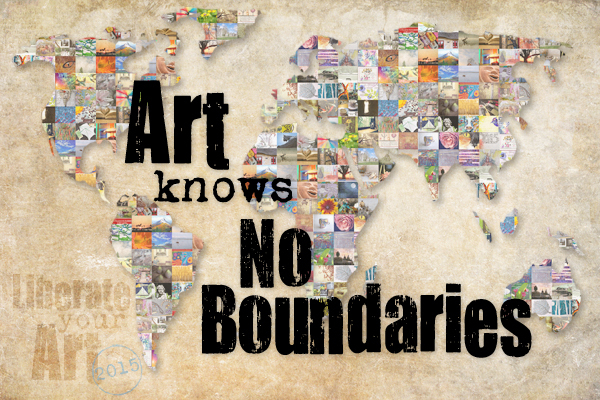 One 6×9″ fine art print, matted to 11×14″, of this year’s Blog Hop image “Art Knows No Boundaries,” shown above. Having this image in your studio could be a reminder to continue to push those boundaries and liberate your art! Enough words from me… Let’s hop! Round the world the postcards go. Where they stopped, we all now know! 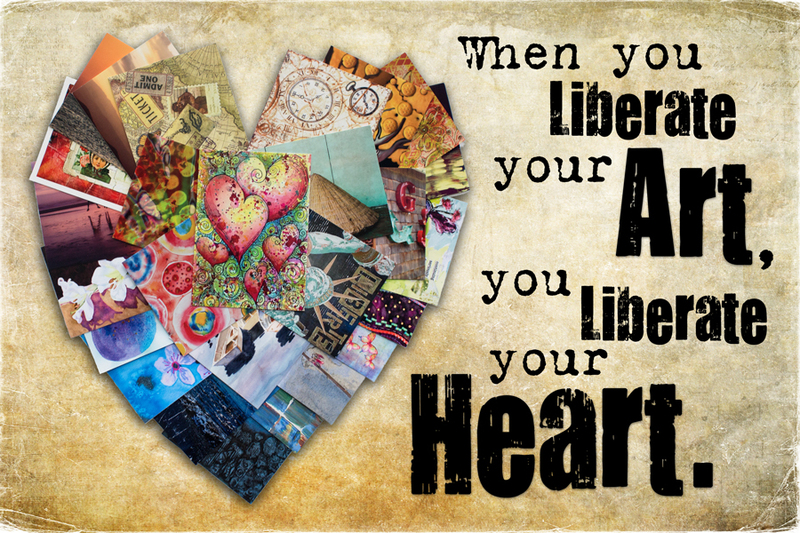 When you liberate your art, you liberate your heart. Your heart goes into what you create, so when it’s liberated, a little piece of who you are is sent into the world. Because of that, it can be incredibly hard to liberate your art. Exposing your self in this way is difficult, but it’s the first step on a journey that will take you to amazing places. You can’t help but grow and expand your heart as you send your art out into the world. How do I know this? The first art I ever liberated to others was in the form of postcards. From that small beginning, I’ve continued to evolve the way I share my art, from postcards to cards to individual prints to collections to exhibitions. I have found my voice artistically and I have a confidence in myself around my art I could never have dreamed when I liberated those first few postcards into the world. That’s a very big reason why I run this swap, to encourage others to take this small step too. Whether you are at the very start of your journey or somewhere further down the road, this postcard swap gives you the chance to go back to the basics. You liberated your art and your heart into the world, where it can do the greatest good. Thank you so much for your participation. I hope you’ll join in again next year! One copy of the book Good Mail Day: A Primer for Making Eye-Popping Postal Art . I found this gorgeous book in the gift shop at the Smithsonian National Postal Museum in Washington, DC, and couldn’t resist. 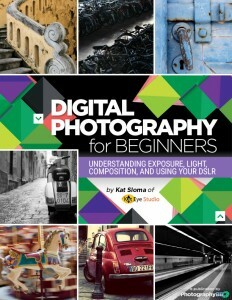 One 6×9″ fine art print, matted to 11×14″, of this year’s Blog Hop image, shown above. I love how this image came out, and thought the message could be inspiring on your wall. It’s already up on mine! The postcards have been mailed, received, swapped, mailed and received. 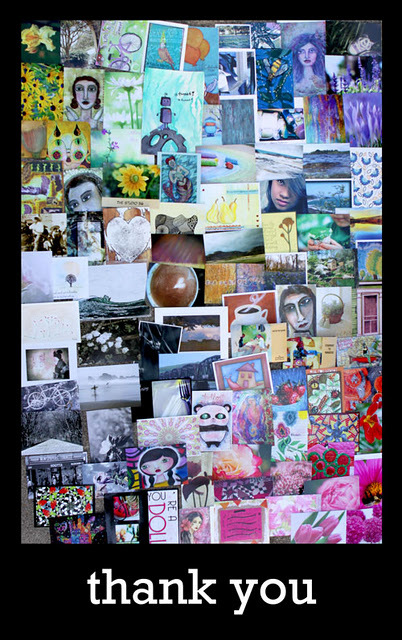 The Liberate Your Art postcard swap is complete for 2013. It’s time to party a little bit, and celebrate what a fabulous swap we’ve had for 2013! But there is so much more to the swap than the numbers. Every year a phrase or theme comes to me as I look at all of the art that passes through my hands. 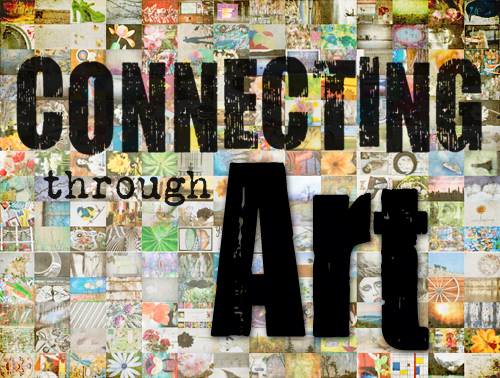 This year, it was “connection.” You are all doing an amazing thing, connecting through art. Each piece of art that was liberated represents a connection, or two. I saw these connections sharing love, joy, nostalgia, encouragement, acceptance, color, creativity, beauty, peace, emotion, inspiration, light, laughter, memories, words, and life. 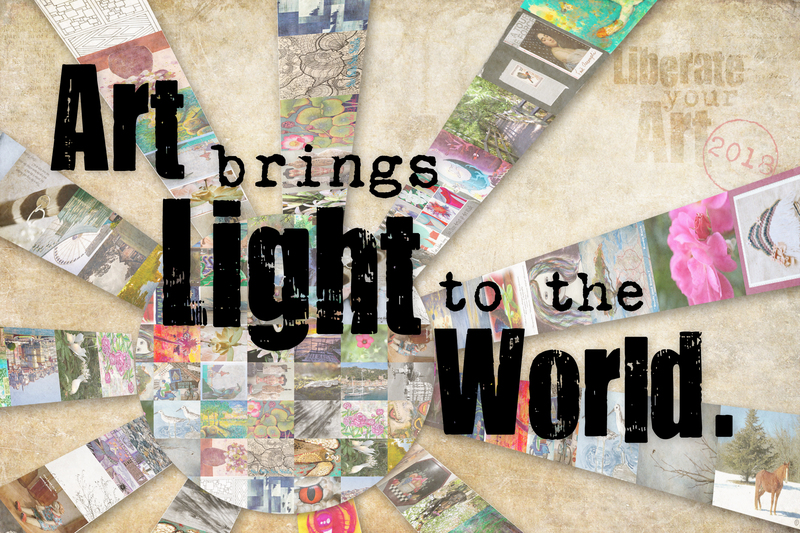 You are influencing the world in a positive way when you connect through art. Of course I had my own moments of connection, too. All of your notes and extra postcards and of course, your art, touched my heart. As I opened the envelopes, I found the art of old friends I’ve been in contact with online since I lived in Italy. I saw the art of local friends, people I see often in my real life, going out to make new connections. And one of the most special things was seeing a couple of postcards from artists where I was with them when they took the photograph they shared, both in the US and in England. Wow. I got chills, from the way these connections reverberate and spiral back. Who knows how this year’s connections will spiral back to you? 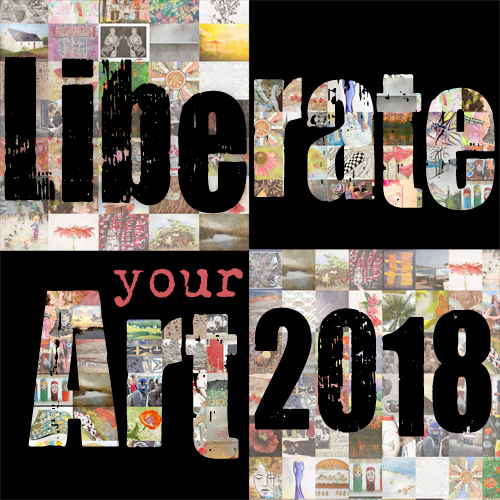 And now, there’s one last opportunity to connect through the 2013 Liberate Your Art swap. Let’s hop! I am struggling to find the words to describe how wonderful the Liberate Your Art postcard swap turned out to be. I set a crazy-big goal, to make myself reach farther and higher than ever before. You all came and answered the call, joining in to liberate some beautiful art and brighten someone else’s day. I knew it would be fun. I never anticipated what you all would give to me. At a time when life could have been sad, with my move from Italy to Oregon, your mail filled up my post box with love and encouragement. Color, beauty, passion, peace… your art helped me through a difficult transition. The image above is the art that many of you gave to me, unexpectedly, unasked, along with the swap. I am honored to have them. I am honored to have met so many of you through this swap. I look forward to hopping around this weekend, visiting your blogs and seeing your swap experiences. 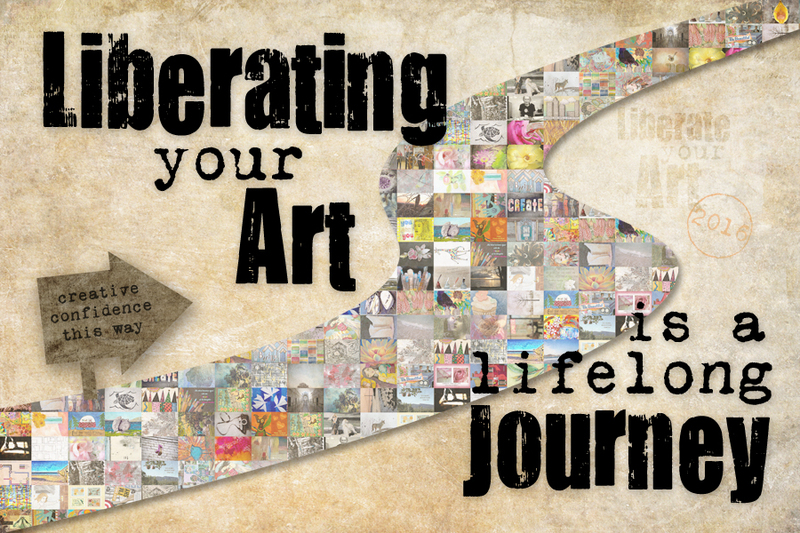 Seeing what liberating your art and making connections brought into your life.